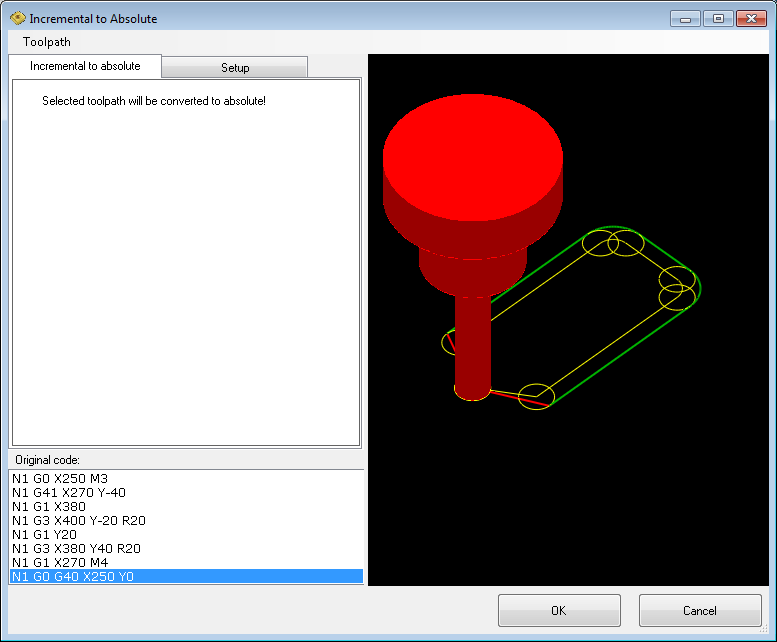 Use this option to convert selected CNC code from incremental to absolute coordinates (G90). There are no special options to set in this dialog. Just click OK to convert selected code.